Girls Sterling Silver Bracelets with genuine Swarovski Austrian Crystals Ages 3-7. 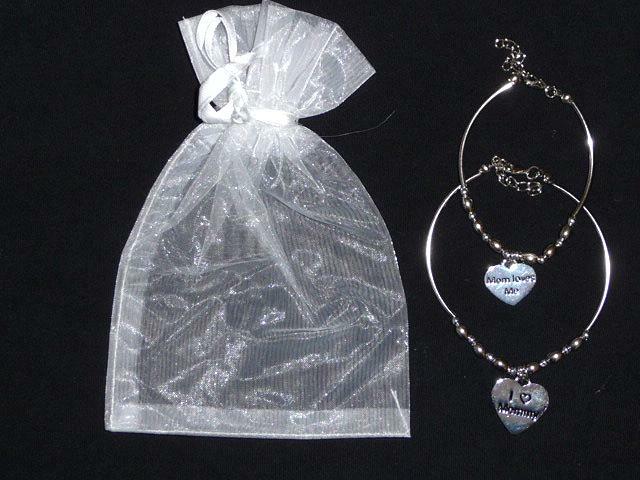 These bracelets come wrapped as shown. Two piece matching mommy and me bracelets. 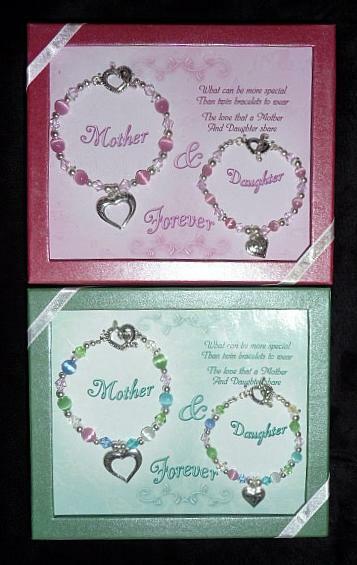 2 Piece set of matching Mother and Daughter Bracelets. Comes gift boxed. Two colors to choose from. Pink sold out. 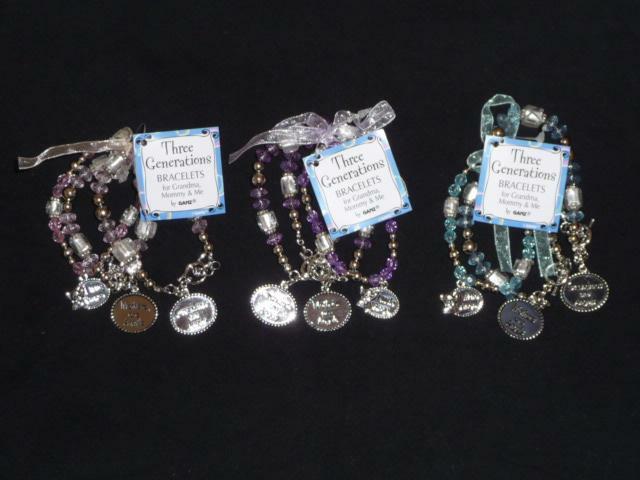 3 Generations Bracelets for Grandma, Mommy & Me. Bracelets say Grandmas are Angels, Mothers are Angels, and Little Angel.